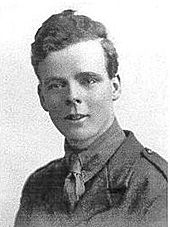 21st August 1918, aged 19. 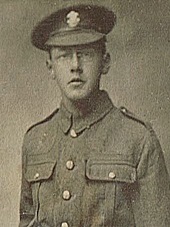 8th August 1918, aged 18. Son of Daniel and Eliza Collett, of 1, Poplar Cottages, Batheaston, Bath. 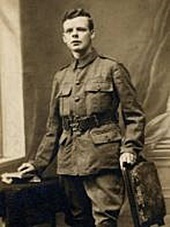 William "Billy" Constantine, M. C.
18th September 1918, aged 23. 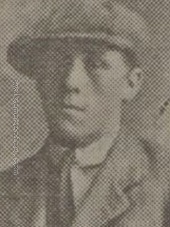 Son of William and Mary Ann Constantine, of 10, Southfield St., Bolton. "Greater love hath no man that he give his life for another"
Eldest son of William and Mary Ann Constantine, of 10 Southfield St., Bolton brother of Margaret, Percy, Gladys, Lillian, Beatrice and Harold. 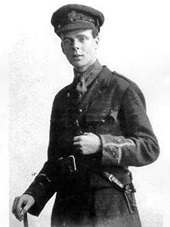 The image on the left shows 'Billy' when he first joined up, then follows a newspaper image showing him with his father leaving Buckingham Palace where he had received his Military Cross and the final image shows him as a second lieutenant on leave after being wounded. Photo courtesy of Sharon (Mallory) Gigliotti, maternal great-niece of Captain William Constantine. His sister Margaret was my grandmother. He was remembered always with enduring love and affection. 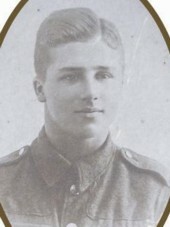 8th August 1918, aged 19. 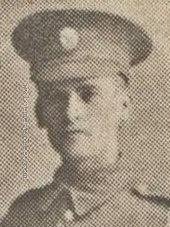 Son of Mrs. Elizabeth Mary Cox, of 19, Dane Rd., Ramsgate. Thomas pictured with his wife and 2 daughters. 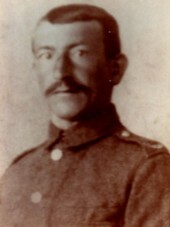 18th September 1918, aged 38. Husband of Rachel Bradford (formerly Curtis), of Albert Villas, Ravenstone, Leicester. 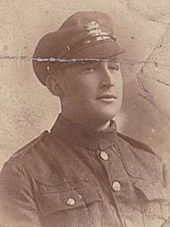 23rd August 1918, aged 20.